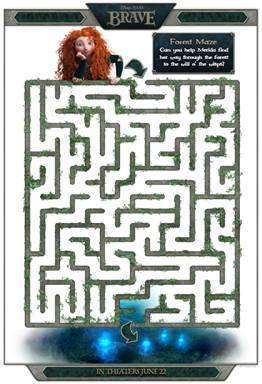 Celebrate the release of Disney/PIXAR’s Brave with these downloadable activity sheets. Don’t forget to take the whole family to see Brave in theatres June 22nd, 2012 with your entire family. It’s a heartwarming story about family, and about a young princess who wants to follow her own heart. Thanks for this. My granddaughters just love Brave. I printed off a couple of these for the girls, thanks a bunch.